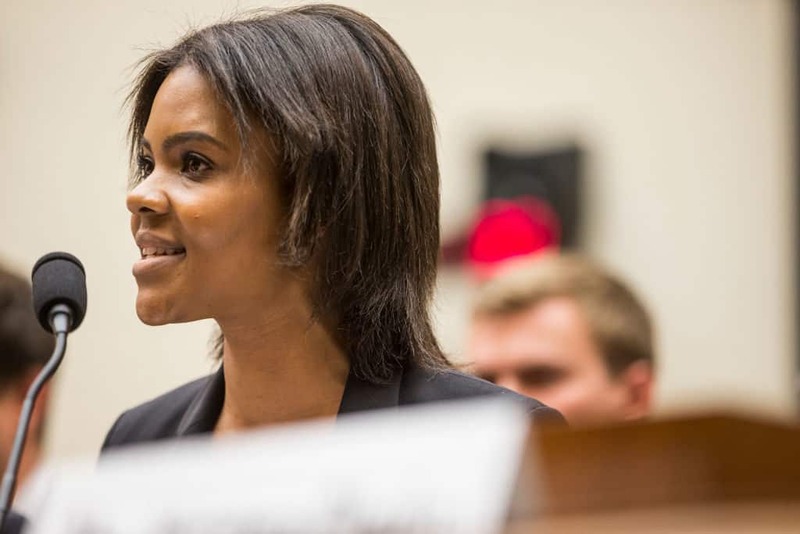 Rep. Ted Lieu (D-CA) literally made right-wing activist Candace Owens squirm when he played a video of her defending Adolf Hitler‘s nationalism in a Congressional hearing on hate. Republicans on the House Judiciary Committee invited Owens to testify at a hearing on white nationalism and hate crimes, an all too unfortunate theme during the Trump presidency. Owens plugged Blexit, her campaign to have black people leave the Democratic party, and somehow claimed Antifa is the real extremist threat. However, progressive Democratic representative Ted Lieu was not having any if it. When it was Lieu’s time to speak, he made sure that his colleagues were made well aware of Owens’ previous rhetoric by playing controversial comments she made about Adolf Hitler. Owens, for her part, previously said she hasn’t any problems at all with the word ‘nationalism,’ explaining that Hitler’s problem wasn’t his nationalism, it was his globalism.